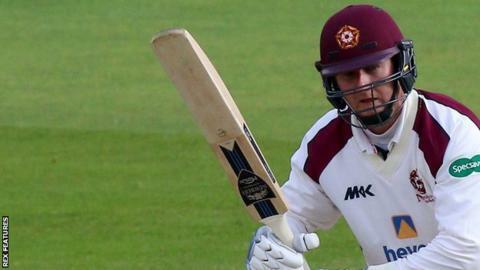 Rob Newton and Alex Wakely both struck centuries as Northants had the better of the opening day against Gloucestershire at Northampton. After the in-form Ben Duckett fell for five, Newton (130) and captain Wakely (104) shared 196 for the second wicket. But once Jack Taylor (1-51) removed Wakely, Gloucestershire battled back through seamers Liam Norwell (3-51) and Craig Miles (2-58). Northants reached 322-6 at stumps, with Steven Crook unbeaten on 27.